These switches convert a pressure signal to an electrical output in response to a change in pressure and movement of an elastomeric diaphragm which opens and closes an electrical circuit based on a set pressure. 3 spade connections allow either a simple on/off configuration or the extra connection point can be used to toggle a dual speed application. Usually mounted in the heater tube, it can also be found in the plumbing leading to the heater. 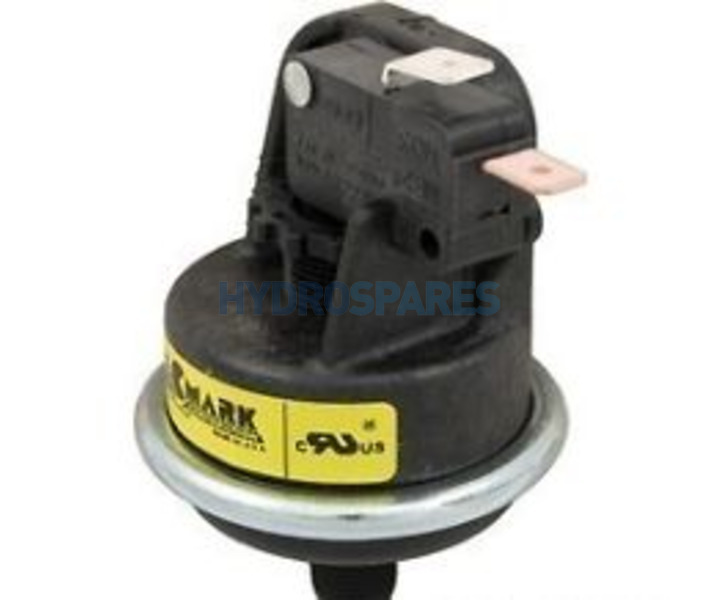 The unit is extremely easy to replace, but it is advisable to drain the spa to prevent water damage through spraying of water onto the circuit board as this switch may be found inside the control box. 1/8" MPT (Male BSP) thread.